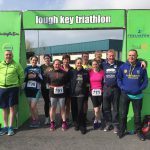 Our Zero2Tri gang headed off to Carrick-on-Shannon for their first triathlon when they took part in Lough Key Tri Club’s 2019 Try-a-Tri. This year’s club training duathlon will take place on Sunday 10th March. Registration from 10am, race off at 11am, relay teams are welcomed. 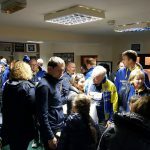 Over 30 potential new members coming along to our open evening to listen to presentations and chat to current members about our great sport. 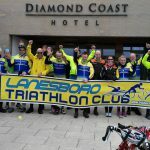 Lanesboro Triathlon Club are launching their Zero2Tri programme with the objective of taking beginners in all or any of the three disciplines and developing them into triathletes ready to compete at the Two Provinces Triathlon in July 2019. Members can often be found taking part in single discipline events such as the Metal Man Swim Series, running a quick 5k or a full marathon. 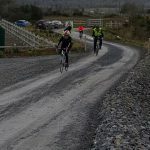 Club members have also taken on longer cycles such as the Wicklow 200 or the Ring of Kerry Charity Cycle, and made a regular Good Friday journey to Enniscrone.